We love cruising and have been on fourteen cruises since I arrived in the US. These have included several cruises in the Caribbean as well as ones to Alaska, the Mediterranean, the Mexican Riviera and the Yangtze river in China. Our last cruise was with my brother Peter and his family and it was on one of the largest cruise ships in the world…….the Carnival Dream which was 1000 feet in length, over 128,000 tons and accommodated more than 5000 passengers and crew! Cruising is for me the ultimate relaxation and one can be as active or not as one chooses. There are multiple activities on board ranging from trivia and board games to pool side games as well as entertainment which is usually of the highest quality. Then, of course, there is the food which is usually excellent as well as having a cabin steward to make one’s bed and clean the cabin. Essentially all of one’s needs are taken care of and one also gets to visit exotic ports! What more can one ask for? But this posting is about a very different type of experience on a couple of ships – far removed from today’s cruises. It was a ship that was used to provide basic transportation between India and Kenya. This was no cruise with all of the amenities I described above – though I have wondered on occasion whether my love for cruises is in any way related to the experiences recounted below. The ships were operated by the British India Steam Navigation Company also known as the BI Line. There were several of these ships that plied the India to East Africa sea lanes. The better known ones were the Karanja, Amra, Kampala, State of Bombay, Muzzaffari and the Aronda! Most Indians who emigrated to East Africa from India from the 1930s’ to the 60s’ most likely arrived on one of these ships. All BI ships were named after places or areas where the company traded. One that I sailed on – the SS Amra – is named after a village east of Benares in Uttar Pradesh. Amra is also the name of a flowering tree that grows at high altitudes. There were generally three classes of travel on these ships: there were a limited number of first class cabins usually occupied by Europeans (a term used in Kenya to describe anyone who was white), two grades of second class (2nd/A and 2nd/B) and the vast majority of the passengers were in deck class which was akin to multiple over-crowded dorms located in various parts of the ship. I arrived in Mombasa in 1949 with my mother, my elder sister and brother on the SS Khandalla. I was three years old and remember nothing of that voyage. My father – who was already in Mombasa – told me that one of his lasting memories was the sight of us coming down the gangway at the port in Mombasa. My mother was carrying a bag in one hand and was holding on to my elder brother with the other hand. My sister was carrying me. My mother would always talk with horror about that voyage – apparently sea-sickness was rife and the overall conditions were horrendous. Over a decade later a similar voyage on another of the BI ships was described as “full of six hundred vomiting Indian families fleeing East Africa because of the country’s (Kenya’s) upcoming independence”. So sea-sickness was very much part of the experience and some were hit harder than others especially if the seas were rough. It likely did not make things any easier for my mother given that she was traveling with three children. We all traveled deck class which was the least expensive method of travel – and the most crowded and least comfortable. Ventilation was poor and much depended on where within the deck one had a berth. Passengers to bring their own bedding since the ship would not provide it! There were common toilets and bathrooms …… just the most basic of amenities. It was essentially transportation and food! I believe the Khandalla was sold for salvage not long after that voyage. But my most memorable voyages were on the SS Amra. My parents were both teachers in Mombasa at the time and every four or five years, the British colonial administration – Kenya was then a British colony – would pay for transportation to India by ship. We were provided deck class tickets – for my parents and the family to voyage from Mombasa to Bombay (as it was then called before it became Mumbai). In December 1956, when I was ten years old, my parents and four children set sail for Bombay. My mother and younger brother who was then just two years old traveled second class to ease the inconvenience of having to travel deck class with a young child – after paying the difference to upgrade. My father, sisters and I traveled deck class. The Amra was one of three ‘A’ class ships built for BI and was just over 8,000 tons. She was launched by Lady Willingdon on 29th April 1938 and sailed from London on 18th November on her delivery voyage to Calcutta to begin her brief career as a Burma mailship. She was an immediate success on taking up the mail run at the end of 1938 but with her speed and extensive accommodation she was soon swept up into trooping duties, spending two periods in 1940 as a Personnel ship. In 1940 she was requisitioned as a hospital ship being converted at Bombay and seeing her first service between Somaliland and East and South Africa. In 1943 she moved into the Mediterranean, evacuating wounded from the Sicily and Salerno landings and was under constant German air attack despite being clearly marked and illuminated. She completed her service in September 1946. The Amra’s post war service was as a passenger ship between East Africa and India. It was again modified and accommodated 45 first class, 110 second class, and well over 2000 deck class passengers! 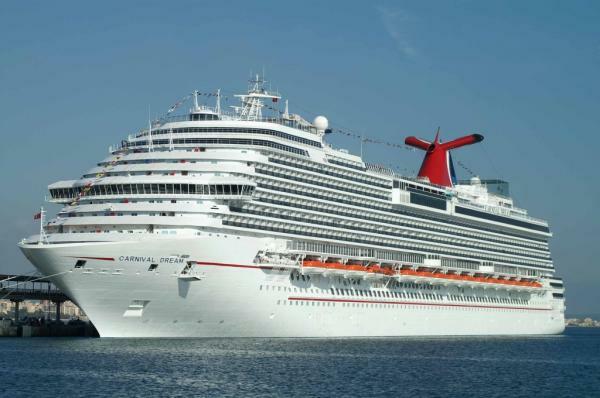 Consider this: an 8000 ton ship carrying well over 2100 passengers compared to the Carnival Dream which is over 128,000 tons and carries 5000 passengers and crew and one gets an idea of the crowded conditions and lack of amenities! I was not quite 11 years old when I sailed on the Amra for the first time and being on board a ship for several days was about as exciting an experience as any for a kid brought up in Kenya. The voyage took between 8 and 10 days to complete depending on the conditions en route. The Amra was considered to be among the best of several ships that plied this route but that was not saying much given the standards of the other ships! There were lots of other kids in my age group for company and the whole experience of being on a ship was a novel one. There was Indian vegetarian food served in one restaurant …… more like a mess than a restaurant ….. where most of the Indian passengers would eat. I usually ate there mainly because the friends I made on board also ate there. There were servers who would go around with various types of food in large stainless steel buckets and ladle them on to the plates of the diners. My father ate at the non-vegetarian restaurant which was a rather more formal setting with waiter service, etc. I accompanied him at his insistence on one occasion. He also accompanied me on one occasion for vegetarian food but was clearly unimpressed with it. I suspect it was the chaotic atmosphere and the table manners of some of the passengers which turned him off even more so than the food. It was on the Amra that I saw my first Hindi movie. It was a comedy called “Mastana” and I am not sure why I enjoyed it given that I did not understand Hindi. The movie was shown on the open deck with a make-shift screen and speakers that blared out! There were English movies also shown at various times in a similar setting. Tombola, which is a game similar to Bingo, was another highlight of the activities in which many of the passengers participated. I recall the Amra docking at Seychelles for a day where some passengers disembarked and a few people came on board. Kenya and, in fact East Africa, had a fairly sizable number of immigrants from the Seychelles. All through the voyage and especially near the Seychelles, one would witness all sorts of sea-life and especially flying fish. Later in December of 1957, I returned alone to Mombasa by ship after a year in a boarding school in Bangalore, India – Bishop Cottons Boys School. It was a plan my parents conceived to educate me in India through high school and college – a plan that did not work out given that I returned to Kenya a year later! On this occasion I traveled by myself – a not quite 12 year old on board a ship for over a week by myself. Obviously it was a different era in that today, hardly any mode of transportation would allow a child to travel on his/her own without someone being responsible for the child. My parents thought that another family who were on board the ship would function as unofficial guardians but for whatever reason it did not happen. I did however travel second class and shared a cabin with three other Indian kids about my age – two were brothers. Once again I had a phenomenal time with even more leeway than when I traveled with my parents. The Amra ended its sea-faring days after it arrived at Keelung, in Taipei on 2nd December 1965 for demolition. Her bell was later installed in the church at Sharjah shared by the Royal Air Force and the Trucial Oman Scouts. Those voyages between Mombasa and India were memorable not just for me but also for many other Indians who lived in East Africa and traveled to and from India. I remember our voyage in Amra in 1964 from Dar-Es-Salaam to Bombay (now Mumbai). I was fourteen at the time. Our family of six started from Dar-Es-Salaam to Mombasa (stopped 2 nights) to Seychelles stopping for a night and finally to Mumbai. It took just under fourteen days. Many passengers suffered from sea sickness. The food was marvellous. The films shown on the deck were black and white Bollywood films. I don’t think I can recall seeing any colour Bollywood films. I remember sneaking into second class at night where I saw Indian band performing English music for the benefit of second class passengers most of whom were Indians with Western values. Some were enjoying Waltz dancing and alcohol was available too. On decks during daytime we can see all kinds shapes and colour of fishes jumping out of sea and sometimes in a small groups as if performing a synchronised dance. Ohhh!! the ocean water was deep blue and in those days nobody had heard of pollution or plastic killing the marine life. One day I went right to the bottom of the ship where engines are located. They were massive engines and shaft driving propellers must be more than 10′ in diameter. The engine crew were wearing long piece of cotton clothe around their ears to keep the deafening sound of engine rooms to the minimum. There I met an Indian crew who had this small door open and the sea was visible 10′ below us. He had a fishing line out in the sea and showed me different types of big fish he had caught earlier. The fish were quite big and he said the crew will be eating them later in the evening. Presumable with curry I believe. That sailing voyage and those lovely days are forever etched in my memory. Take up cruising I recommend it though today’s cruise ships’ engine room are out of bound for passengers. On n ginger. We were from kaliro, uganda. My parents together with elder brother (age 4) and sister (age 1) travelled in Amra ship in the beginning of 1947 from Bombay to Dar es Salaam. My mother vividly remembered that the steamer had made a halt at Seychelle Islands and it was very beautiful. I wonder if anybody knows more aobut travelling conditions during that time. One always wishes that one could have asked more questions to parents when they were still living. Thank you for posting the image of SS AMRA and the informative post. My Grandfather, Captain Oliver Goldsmith, Wiltshire Regiment, died on SS AMRA on 24 January 1944, from a gunshot wound sustained in Italy. I am doing our family tree and found that my father came to Mombasa on 14 October 1944. I would like to find out which boat and the passenger list on the boat that he came on. Does anyone have any information on how I can find this information? My father bought a ticket for me to travel to Tanga in Amra for 18 May 1958 bombay to Kampala via Karachi. He paid 750 shillings. I don’t know what class was my ticket. I was then a first year student of metallurgical engineering at Benares Hindu university. I was to travel after my first year examinations in May 1958. Tragically he died on 4th February in Tanga hospital after a short illness.my mother wound up our matters in Tanga and left Tanganyka and settled down in her native place in Kerala state in south India. My journey was cancelled. I visited Tanga many years later on 4th February 1985 to see where my father worked and where his body was cremated. He was working for Karimjee Jivanjee sisal estates. I think he went to east Africa in 1930.